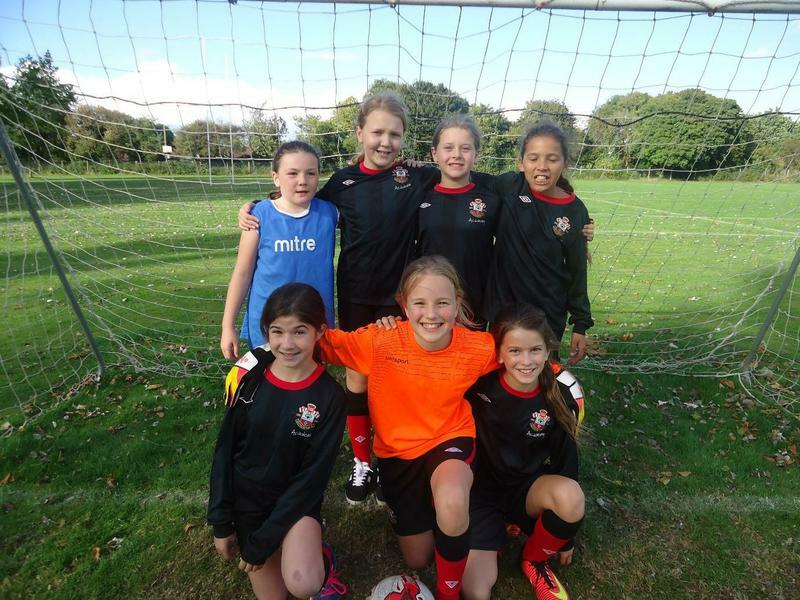 On Friday 30th September, Mr Dyer and Miss Abad took a group of Year 5 and 6 girls to compete in a 6-a-side football tournament at Wide Lane, Eastleigh. In their three group games, the girls managed to beat Thornhill 4-0 and Abbotswood 2-1, but were narrowly defeated 1-0 by a very strong Shirley Junior team. Unfortunately, 6 points wasn’t quite enough for the girls to progress through to the semi-finals; however the girls thoroughly enjoyed the experience and they should all be very proud of their achievements!